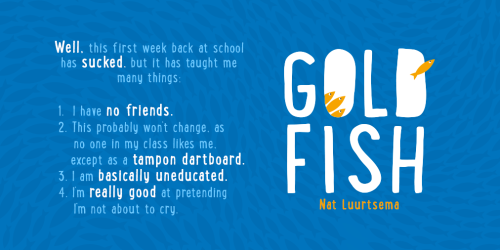 I’m so excited to be kicking out the blog tour for Nat Luurtsema’s Goldfish! Today she’s here telling us all about her favorite olympic swimmers. Check it out! There are many excellent Olympic swimmers, fast, skillful, top of their game and none of them are my number one favourite. That title goes to Eric Moussambani Malonga who competed in the 2000 Sydney Olympics. He met none of the minimum requirements to qualify, but did so via a wildcard draw designed to encourage participation by developing countries lacking full training facilities. Which I think is a good idea, but does give me a funny mental image of Eric sifting through the post one morning, saying a weak “bloody hell” and sitting down because his knees have gone wobbly. “Any post, Eric?” his wife or flatmate shouts from the sofa. Eric should’ve been knocked out of the running in his first qualifying heat but he was competing against two swimmers who dived too early and were disqualified. And with that, Eric was off to the 2000 Summer Olympics in Sydney. Imagine phoning your mum to tell her that. At this point, he had never even seen an Olympic-sized swimming pool. He took up swimming eight months before the Olympics and practiced in a lake in Malabo. On the day he took twice as long to finish as the winner, taking 1:52:72 in the 100m Freestyle. But that’s still faster than most of us could swim it! Girl Out Of Water is all about how failing is fine, not to beat yourself up about it, because in the end it’s fine. It’s how you deal with failure that counts. Eric Moussambani Malonga set a new PB (obviously, as swimming in a lake presumably slows you down with all the yelping because something slimy brushed your leg) and went on to coach the Equatorial Guinea national team. Everything rests on this race. It’s Lou’s thing. … or it was. She comes dead last and to top it all off Hannah sails through leaving a totally broken Lou behind. Starting again is never easy, particularly when you’re the odd-one out in a family of insanely beautiful people and a school full of social groups way too intimidating to join. Where do you go from here? Finding a new thing turns out to be the biggest challenge Lou’s ever faced and opens up a whole new world of underwater somersaults, crazy talent shows, bitchy girls and a great big load of awkward boy chat. Lou Brown guides us through the utter humiliation of failure with honesty, sass and a keen sense of the ridiculous. This girl will not be beaten. I LOVE THIS GUEST POST! Sorry I shouted it, but I really did. I want a letter like that! And I never even knew that was something that could happen. And I’m super excited about the Olympics coming up, we love watching it. Also, this book cover. I love fish, having grown up w/a big tank of them as a kid, and now having a tank in my son’s room (at least I love them until it’s time to clean the tank…). Now off to follow Nat at all the social media places! 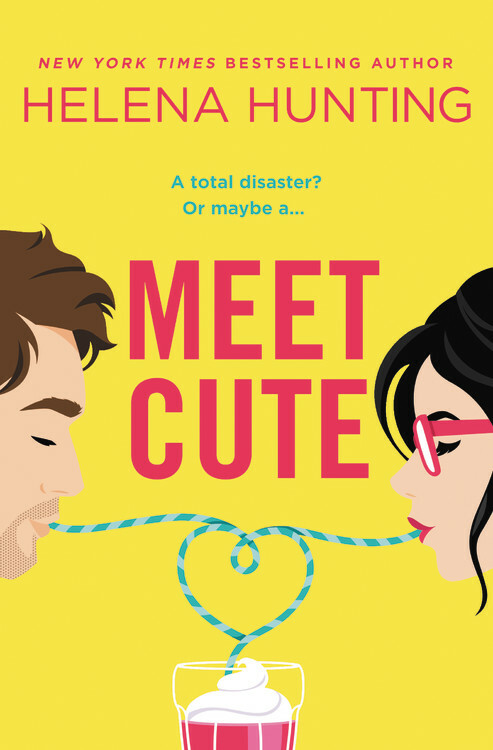 This book sounds fantastic and right up my alley right now. I used to figure skate when I was little and a lot of the people were trying to go to the Olympics (one made it!) and I feel like this would totally take me back to all of them. I’ve never heard of someone getting into the olympics like that, but that’s so cool!